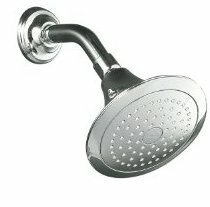 Does your bathroom have a good shower base? A bathroom is an important part of any house. 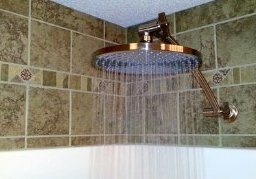 If your shower does not have a bathtub, it is almost obvious you will have to look for a shower base. It has a vital role to play in the house as it prevents water from getting onto the floor and seeping through to cause damage. Having seen how important a shower base is, it is necessary to know how to choose one. To begin with, you have to prepare for a process that could be quite extensive. This is so because you will have to look at all the options before you make the final decision of what you wish to purchase. You have to first take the measurements of the space that the shower tray will fit. However good a shower base you buy, it will be useless if it cannot fit in your bathing space. After that, you may now begin to think about the shape that interests you the most. Mostly, you will come across six shapes – square, offset pentangle, rectangle, pentangle, offset quadrant and quadrant. The next step would be to conduct intensive research on the types of shower trays. Standard ones come with a rim like thing that goes around the shower. This structure makes it easy to access the shower. In the process of your research, you will also realize that the upstand shower tray is quite different. It comes with an extra piece that secures it to the shower more firmly. There are more features you will notice if you keep researching. The next important thing about choosing a shower base is the material used to make it. For instance, those made out of acrylic are light, a lot easier to fix including the fact that they are warm. There are other materials like steel enamel, solid surface, stone resin and others. Finally, as you choose your preferred shower base, look at your budget. Each style and material comes at an appropriate price. You have to be sure you choose one that you can pay for comfortably.